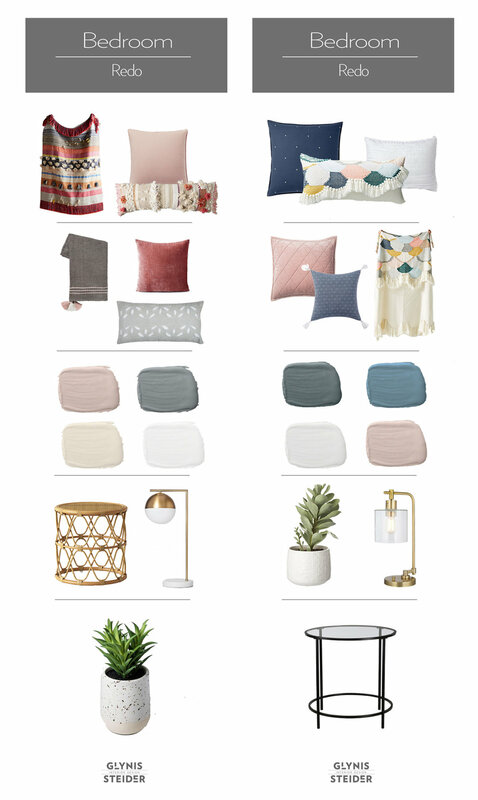 My latest project is one that I'd been thinking about all year, along with a million other projects, so I have finally come up with a color palette which then prompted me to select bedding and a few furniture pieces. I have two daughters, twins, that recently moved out after finishing college. Both rooms are now empty and are in need of a little sprucing up. Both rooms also share a bathroom that will also get a little facelift. Since we never use these rooms I didn't want to spend a lot of money for something that was only going to be used when they were home. Here is a sneak peek of the color palette and a few accessories.